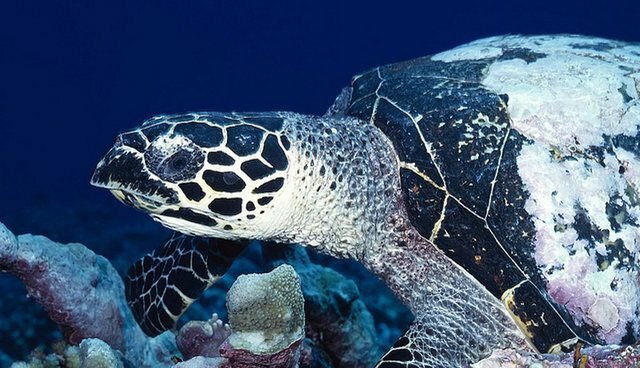 Last week, I was astounded to learn that the Caribbean island of St. Lucia was planning to allow legal hunting of three endangered species of sea turtles - the hawksbill, the loggerhead, and the green - from Oct. 1 until Dec. 31. What was even more disturbing was the government's display of ignorance about some basics of turtle biology (and I'll get to that in a moment). And, as my good friend and colleague, Dr. Ron I. Orenstein (author of the highly recommended "Turtles, Tortoises and Terrapins: A Natural History") pointed out, St. Lucia, in addition to being party to the Convention on International Trade in Endangered Species (CITES), which prohibits international trade in these species "for primarily commercial purposes," is also a party to the Protocol on Specially Protected Areas and Wildlife under the Cartagena Convention. It lists the turtles under regulations that specifically prohibit "the taking, possession or killing (including, to the extent possible, the incidental taking, possession or killing) or commercial trade in such species, their eggs, parts or derivatives" and "to the extent possible, the disturbance of such species." The reasons why these sea turtles are endangered are many - and increasing. Primarily, the problem has been over-utilization, with the animals killed for their shells, used to create ornamental "tortoiseshell" objects. These range from elaborate objets d'art created by Japanese artisans, to eyeglass frames, to small bits of jewelry. Their meat and eggs are consumed, and their bodies are stuffed and sold as curios. But, while CITES has eliminated the legal international trade in such products (if not the illegal trade, or domestic use), other horrific hazards have emerged. Primary among such risks to the survival of sea turtles is the overwhelming prevalence of plastic waste in the oceans. We are awash in plastic garbage. Much of it, even from inland sources, makes its way to oceans. Sea turtles eat a lot of jellyfish and other marine organisms, from petrels to porpoises. To a turtle, plastic can look quite edible - rather like a jellyfish - and, when consumed, can cause slow death. It is bleakly ironic that, at a time when climate change has led to ecologically catastrophic increases in jellyfish, one of the main jellyfish predators is also being destroyed. But, it gets worse. St. Lucia has decided that only large animals (those hawksbills weighing more than 27 kilos [about 60 pounds], or green and loggerhead turtles weighing more than 34 kilos [about 75 pounds]) can be killed. The problem is that these are precisely the animals of greatest value in preventing extinction. It takes decades - possibly up to 50 years or more, depending on individuals and species - for sea turtles to reach sexual maturity. It is exactly the individuals who St. Lucia is allowing to be killed who contribute the best chance at the survival of these species. As Canadian biologist and turtle expert Ron J. Brooks said to me when I showed him St. Lucia's plans, "This is almost cartoonish in its stupidity. Harvesting the adults is the textbook solution to rapidly exterminating them." It's a point that so many "decision makers," and even those sympathetic to conservation and environmental concerns, don't understand ... and this ignorance is having catastrophic effects on many marine species. St. Lucia does not benefit by increasing the likelihood of these three species becoming extirpated from their waters, or by contributing to their ultimate extinction.